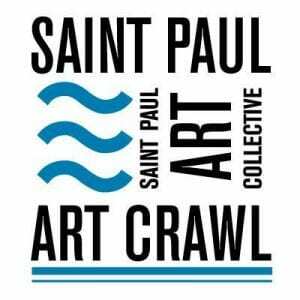 The St. Paul Art Collective is proud to announce the Spring 2019 Saint Paul Art Crawl. This event is presented each spring and fall by the Collective, who relies on artists and others who volunteer their time and resources, to make it happen. Support has been generously given by local businesses including the Pioneer Press, KTNF AM 950, Metro Transit, Modern Press, St. Paul Saints, Dayton’s Bluff Neighborhood Housing Services, Springboard for the Arts, Wet Paint, Pioneer Endicott/Northwestern Building, and others. The St. Paul Spring Art Crawl of 2019 will be held Friday, April 26th from 6PM-10PM, Saturday, April 27th from 12-8PM & Sunday, April 28th from 12-5PM.